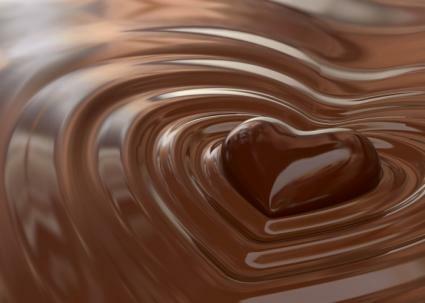 We've all got our weaknesses, but if yours is chocolate, we think it's more of an asset. For the ultimate decadance, read on to indulge in every chocolate craving you'll ever have. Ok, maybe swapping this mega treat out for dinner isn't the healthiest choice, but once you get a taste of this Mississippi mud pie, it's hard not to consider it. And trust us, if you bring this crowd pleaser with you to a potluck, you'll be everyone's BFF in five seconds flat. If you want to make this dessert even more high impact, double up on the whip cream, and add a few slivers of shaved chocolate. 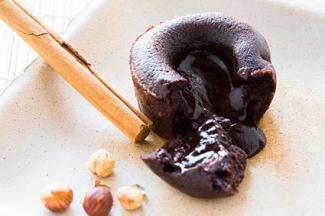 A chocolate soufflé recipe is so mouth-meltingly rich, you're going to feel like a millionaire every time you eat it. The recipe says it makes enough for six servings. However, whether you choose to share those servings or keep them for yourself is totally your call. Just don't let your friends know you're hoarding all the riches for yourself! 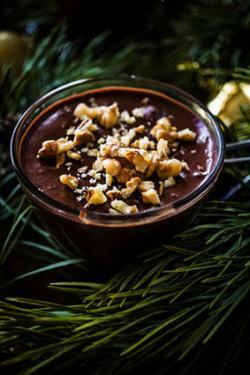 Fill the bottom half of a 3-ounce ramekin with chocolate tofu filling. Add a full teaspoon's worth of caramel in the center. Fill the rest of the ramekin with chocolate tofu filling to cover the caramel. Bake the ramekin in the oven at 350 degrees for 15 minutes. Sprinkle crushed walnuts and powdered sugar on top. If you're feeling not-so-vegan, you can also add a spoonful of vanilla ice cream on top. Prepare the homemade marshmallows the night before you plan to make your cupcakes. 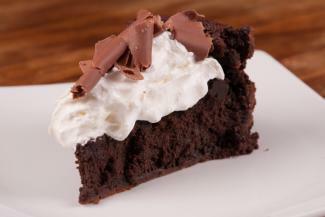 The next day, get started by whipping up the chocolate cake batter. 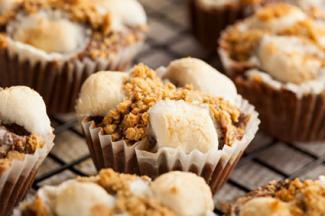 Place cupcake liners in a cupcake tin and fill them halfway with the batter. Bake at 350 degrees for just under 20 minutes. Add a homemade marshmallow or two to the top of each cupcake and place the tray back in the oven, baking it 1 or 2 minutes more, until the marshmallows begin to expand and begin to brown on top. Remove tray and let cool for 20-30 minutes. Add a sprinkle of crushed graham crackers on top for the full s'mores effect. Yup, you heard right. Think of it as a mix between French toast and a grilled cheese sandwich, but way better and with way more chocolate. It's also surprisingly easy and straightforward to make. And once you've mastered the recipe, feel free to add your own touches, like a dash of sea salt or a dollop of caramel. In a medium sized pan, pour just enough olive oil to coat the bottom and turn the pan onto medium heat. Place one slice of bread butter side down and cook for 10-15 seconds. 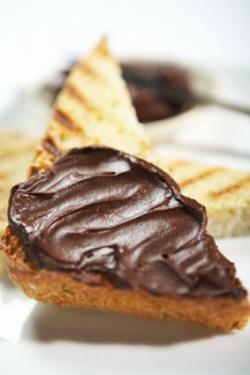 Add chocolate chips on top of the slice of bread that is still cooking. Place the second slice of bread butter side up and turn the sandwich, using a spatula. Continue turning the sandwich until both sides are golden brown. You can also cover the pan to make the chocolate melt faster. Sure, the Gaudi architecture is definitely a reason to visit Spain. But the number one reason might easily be for the chocolate con churros, a local staple that makes hopping a plane for a taste seem totally reasonable. Not ready to fly halfway across the world? No problem. 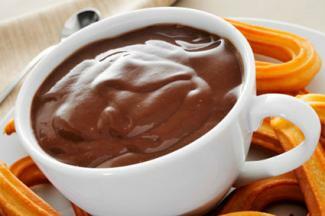 All you need is a trip to the store, this churro recipe, and this chocolate sauce recipe. Our suggestion: double both recipes, because this might be the most addictive treat on the list. 7. 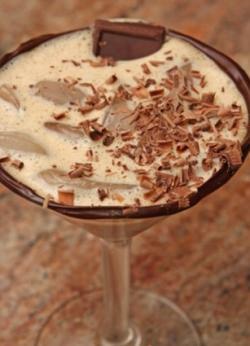 Indulgent Chocolate Beverage: Adults Only! Have your chocolate and drink it too. This Baileys chocolate martini recipe packs a serious punch. Switch up the basic recipe for one that has a chocolate mint flavor or one with a longer list of ingredients sure to create the ultimate chocolate martini. You can even make fruit-flavored versions with orange and raspberry. Bonus: if you fancy yourself something of a mixologist, chances are you may already have most of these ingredients at home. It's 5 o'clock somewhere, so what are you waiting for? Now that you've got a week's worth of chocolate recipes, it's time to stock your kitchen and get cooking. Bon appetit!